It's time for another GIVEAWAY! If you are a regular reader of Southern As Biscuits blog (thank you & XOXO), you might recognize the super cute garlands in this post. 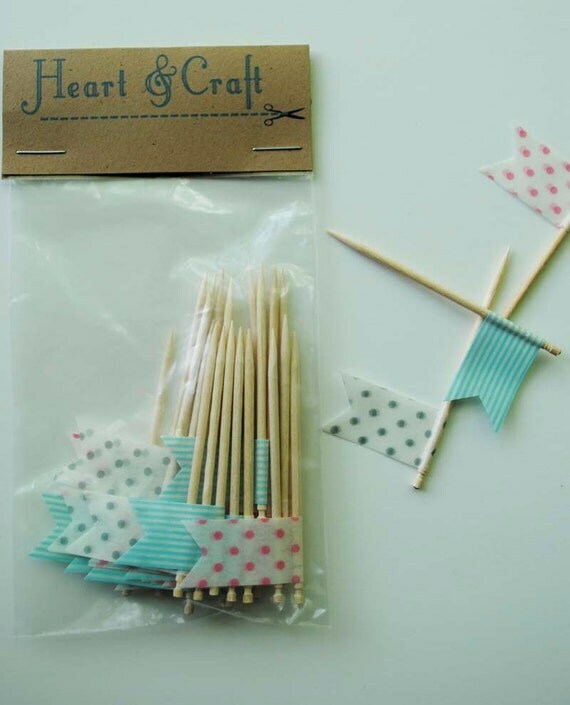 I featured Kat's party garlands from her Greensboro-based Etsy shop, "Heart & Craft" in my birthday week local Etsy collection two weeks ago. We've been in touch and I was excited to learn that she has since been featured in goTriad! See the wonderful article below. Kat wanted to offer a GIVEAWAY to a lucky Southern As Biscuits blog reader for an item of your choice from her lovely Etsy shop! To enter, visit Kat's Etsy shop Heart & Craft, then leave a comment here on the blog saying which item you'd choose if you win! For even more chances to win, Tweet this post (and leave a separate comment below saying you did) and get another entry for posting on Facebook (and leave a separate comment below saying you did), for a grand total of three possible entries! Note: Be sure to leave your name and contact info if you comment "Anonymously" or I'll have no way to reach you if you win! Enter by June 25th. If you are not the lucky winner, it can still be your lucky day! Kat is offering Southern As Biscuits blog readers a coupon for her festive party bling. Just enter coupon code "SOUTHERN" at checkout to receive 20% off! Note: The article below has been reposted from goTriad.com. To go to the original (full) article, click HERE. Kat Kraszeski Jackson is shown here at her home studio in Greensboro. This all stemmed from me doing the garlands for friends and other people’s parties, not even really being asked to. I would just show up with stuff at a friend’s house or a restaurant. Then I went into Etsy, and I didn’t really see anyone making that. People were looking for these types of things but didn’t know where to go for something like it, not at a party store necessarily. People want things to be so custom, so if they are having a pink and zebra-themed party for their little girl, I can find that paper. It can be customized to whatever someone likes. What I have in my Etsy shop right now that I have been focusing on for the last couple of years is paper products, party decorations, event decorations, paper garland, a lot of custom garlands for weddings, and wedding and baby showers and things. I have been getting a lot of custom orders for cupcake flags. 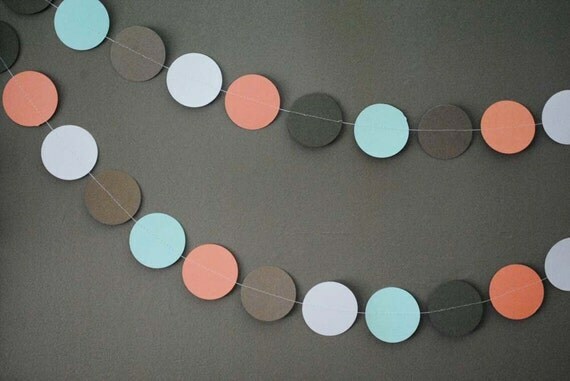 My normal garland shape is the 2-inch circle card stock. I have to find a good weight, but I do different shapes, too. The garlands are all sewn on a tiny little cheap sewing machine that I have had forever, thinking I would make clothes but never really did. It’s great for this though. 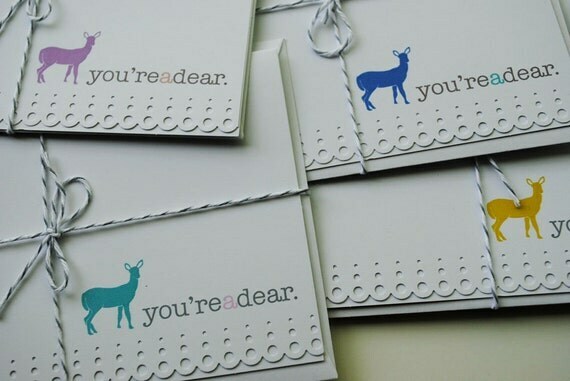 I recently added in stationery that my husband and I work on together. He does graphic design. I will usually sketch things out, and he will help me put them in Illustrator or whatever program he wants to use. I have always been inspired by nature, but I kind of want to take it out of a rustic sense and make it clean-lined and simple in colors that you maybe wouldn’t find in nature. As I have done more of this, I have gotten more interested in styling and event stuff. I would love to go in that direction. If someone wants a creative idea, how to pull things together, a backdrop or tables, if they want to create a feeling for an event, I would love to reach out to stylists and local vendors and see if I can work with them on that. I am an art teacher at Grimsley High School, and I have kids from every age. I have experience with color theory and drawing. I have a BFA in art education and design from UNCG. I was never interested in sitting at a computer all day. It’s not tactile, and I don’t really feel busy. I have always been resourceful. When I was little, my mom, she’s a science teacher, she was very left-brained, but she was always making stuff — curtains for the ladies in the neighborhood, clothes for us. Anytime I would see something I liked, her motto was always, “Oh we can make that.” If we saw Christmas decorations, gifts, clothes, purses, we would just go to the craft store and get the stuff we needed. That process of construction is something that has always been important to me. For more of the article, go to the original at goTriad, HERE. As told to Erin McClanahan Rainwater. Contact her at eringrey718@yahoo.com. I would love the silver and white gift tags. Dear Anonymous: Be sure to leave your name on your comment and/or email me with your Name and email address so I can contact you if you win! Thanks and Good luck! These are sweet! Your blog is lovely BTW. Thanks Aunt Sue! And how did you discover Southern As Biscuits blog? I love the Sea Green Garland! I like any of the party garlands or the ribbon garland. It's all really cute! I love the 6 White and Brown Lace design gift tags!! I absolutely must have some of those notecards or I will literally die. If you ever want to see me smile again, I must win this giveaway. No pressure. I like the 24 cupcake flags. I would like the extra long blue/green party garland. Thanks!